"Smart Cookie Design were by far the most knowledgeable in terms of understanding the challenges we have..."
Diabetes UK is a leading charity that cares for, connects with and campaigns on behalf of people affected by and at risk of diabetes. Diabetes UK are the largest charity focused on diabetes research in the UK, with a Support Forum of over 16,000 members, 300,000 supporters, 5000 volunteers and 6000 healthcare professionals working together to face the challenge of diabetes. The previous store was developed in 2012 on a bespoke platform and with the mobile experience not optimised for their growing mobile browsers. Alongside this, the previous shop disrupted the user experience when navigating between the charities core informational site and the online shop. The charity approached our team to design and build them a new shop on the Shopify Plus platform that not only increased conversion rates but also gave the users an effortless transition from the core site to the shop. The new online shop was designed to continue the same customer experience that starts on the main informational site. A bespoke donation feature was integrated allowing customers to leave a donation before checking out to increase revenue whilst the Feefo reviews system was integrated to support increased conversions. Shopify Plus Scripts were also developed to enhance the checkout experience, all whilst being connected to the charities backend fulfilment centre to synchronise stock and monitor orders. Migration of data from the bespoke cart was also undertaken so all products, orders and customer profiles could be found in the new Shopify store. 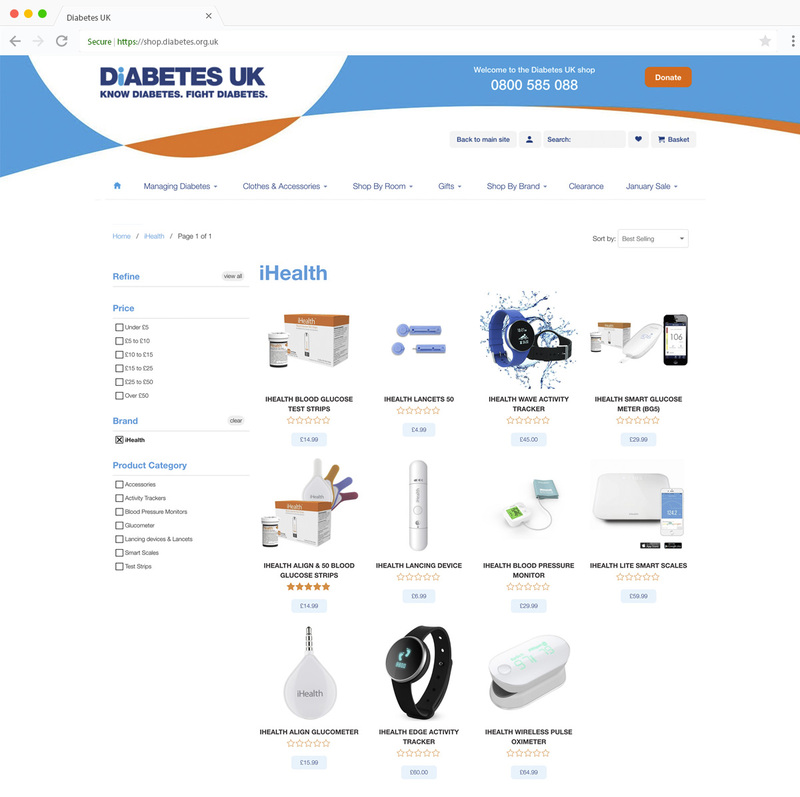 Diabetes UK held a tender process to find a suitable partner to work with to launch our new online shop. Smart Cookie Design were by far the most knowledgeable in terms of understanding the challenges we have and what we wanted to obtain. 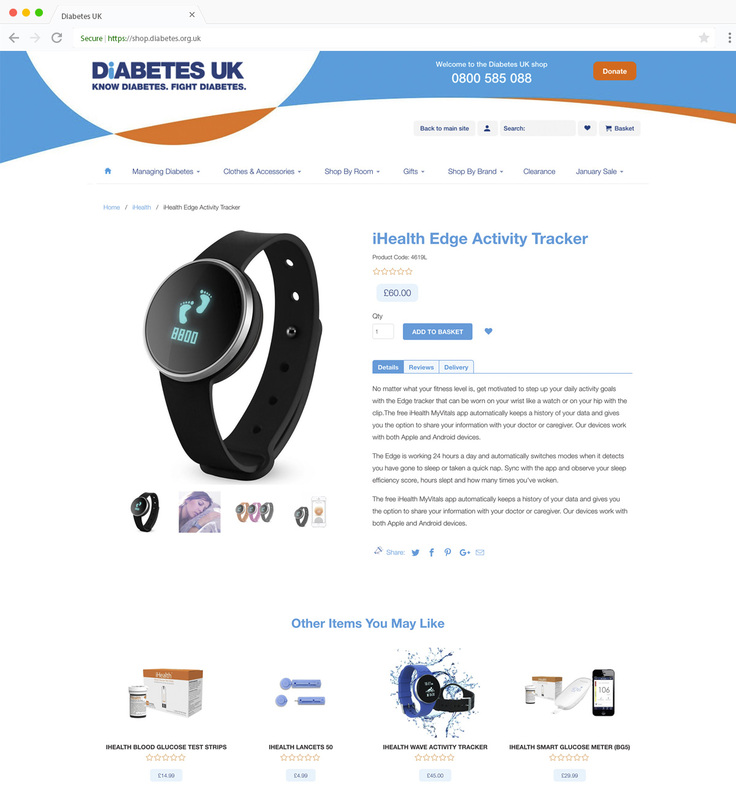 Smart Cookie were extremely efficient and professional in supporting Diabetes UK in building our new Online shop. Smart Cookie were also excellent in understanding the challenges that were faced by multiple teams internally here as well as our third party partners such as our fulfilment house. We are delighted that we chose Shopify and Smart Cookie to launch our new online shop.